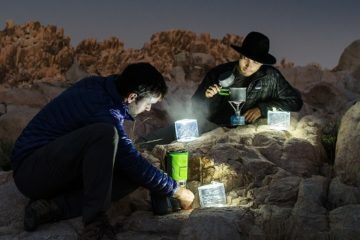 A thermos is essential if you want to keep coffee hot when camping, yet it’s all but useless if you don’t have a way to boil water or make coffee. 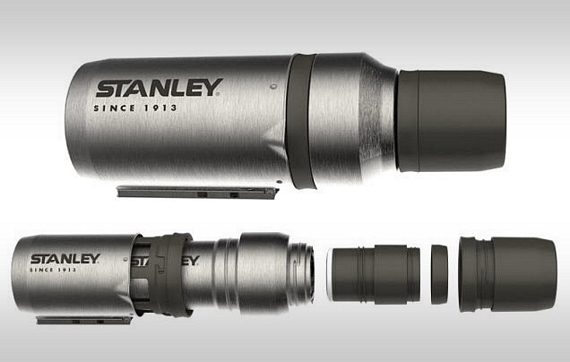 That’s why the Stanley Vacuum Coffee System integrates both functions within its normal-looking thermos body. When all closed up, it looks like a regular vacuum flask – the kind where you keep the boiled water in the kitchen back home. 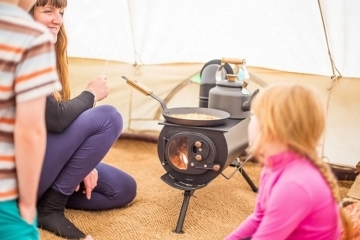 Except, the thing is actually designed to disassemble into three distinct tools that will let you boil water, make coffee, and keep it hot for the duration of the day. 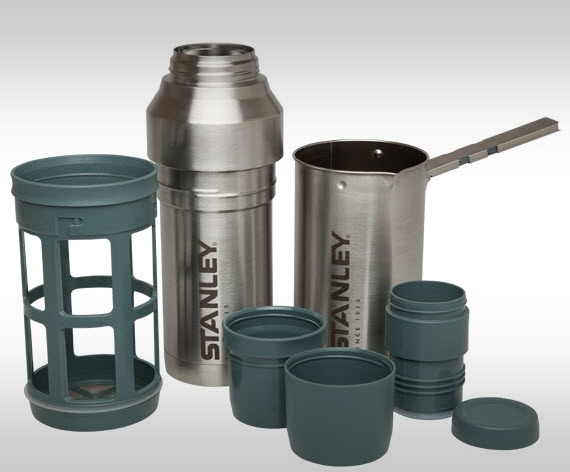 The Stanley Vacuum Coffee System uses a nesting design to house all items together inside a regular-looking thermos frame. 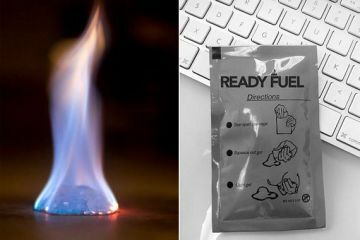 The outer container is actually the pot, with a fold out arm for easily handling it over your Survival Stove, with the inner container serving as the actual vacuum flask. Between the two sits a French press tool that you can place inside the pot after you boil the water to brew some coffee. Once that’s done, simply pour all the coffee into the vacuum flask and put the assembly back together. The thermos will keep it hot for up to 24 hours. 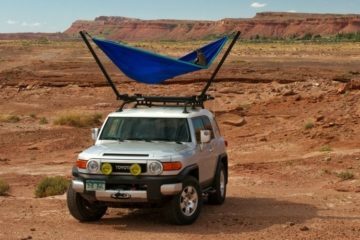 It features a lid that can separate into two cups for sipping your hot beverage, with a dry storage stopper that can hold a stash of coffee grounds good for one brewing session (if you’re brewing enough to fill up the flask). Construction is BPA-free stainless steel. Listed as “coming soon,” the Stanley Vacuum Coffee System comes in two sizes, 500 ml and 1L, priced at $50 and $60, respectively.